Spanning three centuries, this collection traces the historical evolution of legends, folktales, and traditions of four major native American groups from their earliest encounters with European settlers to the present. The book is based on some 240 folklore texts gathered from early colonial writings, newspapers, magazines, diaries, local histories, anthropology and folklore publications, a variety of unpublished manuscript sources, and field research with living Indians. "A study whose erudite research and balanced presentation make it an immediate classic. It goes well beyond the standard treatments of Indian folklore." -- "New England Historical and Genealogical Register"
"An impressive blend of good anthropology and sound historiographical scholarship . 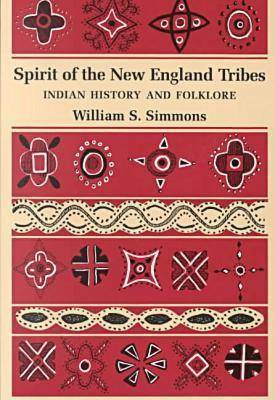 . . What emerges is the clearest, and most thoughtful, view into the cognitive world of New England's native people available to nonspecialists." -- "New England Quarterly"
"Contains a great deal of information which should prove of interest not only to folklorists, anthropologists, and historians, but to Native Americans and anyone interested in the history of New England . . . The significance of this work is twofold. On the one hand, it is a solid contribution to scholarship. Simmons relates changes in folklore over time to historical events, thereby highlighting the dynamic nature of folklore . . . On another level, this book can be taken as a testimony to the resilience of the human spirit. Simmons argues that folklore 'is the primary domain where an Indian spirit still survives, ' providing 'the major vehicle for expressing and perpetuating a persistent Indian identity.' This book is a celebration of that spirit." -- "New York Folklore"